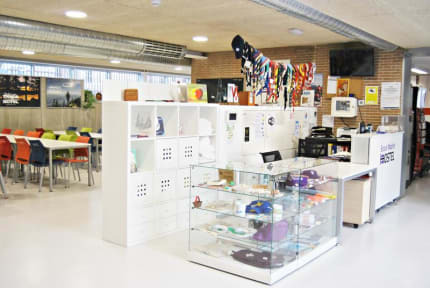 It was really clean, nice place. Staff was friendly. Breakfast is ok for the value that you pay. Hot water wasnt not enough warm. But general atmosphere is really nice. A fine place to stay but hard to find (for me). A big improvement would be to install an oven in the kitchen. You can't bake a pizza in a microwave. Nothing spectacular but got the job done with no complaints. Worked great for my needs since I was driving and didn't want to park in the madness of the city, so there was free parking in the area and easy access to the city by train. I could see how that's less ideal for other travelers through given it being fairly far out. But everything was clean and had all necessary amenities. The lockers under the bed are a bit tricky to manage/line up with a lock, albeit they are large. I didn't realize that it was a hostel for Scouts, so there were people of all ages young and old. I think it's more of a family hostel versus a hostel for young travellers. It was nice and clean and in a quiet area very close to the metro and bus stations. If you want a break from the craziness of downtown it's a great place to stay! 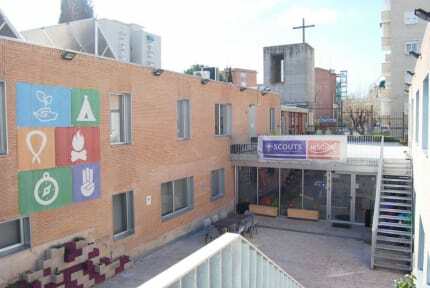 It is a Scouts hostel. So, as a guest, I didn`t feel like they really cared about me. I was only one more person that would come and go. The weird part was that were full families living there. I got a bit confused. And twice per month, on Saturdays, it is impossible to book because they have scouts events and they book nearly everything. The toilets are very dirty and some of the showers don't have hangers, or the light is weak, or the shower doesn't heat at all, or the door is bent.